HARRISONBURG — George Homan’s 1974 skiing accident didn’t stop him from becoming a CEO. “[The accident] resulted in me needing to change careers,” Homan said, and that’s how he found himself at Friendship Industries, where he would work and lead for more than four decades. But every good thing must come to an end. Homan retired from Friendship Industries in November, but a more festive send-off waited until this week. On Wednesday evening, the Friendship Industries board threw a going-away party for Homan at the Spotswood Country Club in Harrisonburg. “The board wanted to recognize his impact and his achievements,” said Sandra Quigg, director of organizational sustainability at Friendship Industries, who worked with Homan for more than a decade. More than 100 people had told Quigg they would be coming. “He’s the kind of person who would give you the shirt off his back,” she said. 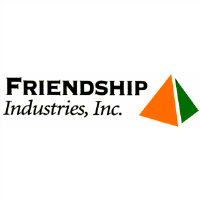 Started in 1964, Friendship Industries is a 501c3 nonprofit in Harrisonburg organized by a group of parents and educators that employs people with disabilities to work in the business. The almost 200-strong workforce at Friendship Industries is in the contract packaging trade, which takes products such as books, medical kits and food devices and then repackages them to be ready for retail. Homan’s first position at Friendship Industries was in 1975, working with microfilm for the former Rockingham Memorial Hospital. Over the course of a few months, Homan found himself a leader in Friendship Industries until his retirement. This dedication to the integration of work and service is also shown by Homan’s short spell away from Friendship Industries, when he went to work on lifts for buses and vans to increase accessibility. After several months, Friendship Industries President Dave Flick asked Homan to return, this time to be director of operations. “We were a good team,” Homan said. In 2011, he was tapped to succeed Flick when he retired. Dennis Monday, the new Friendship Industries president, “will continue to grow the business,” Homan said. “It certainly has changed and evolved over time,” Homan said about the business and is pleased with the growth the group has seen. He attributes much of that success and growth is from the work ethic.